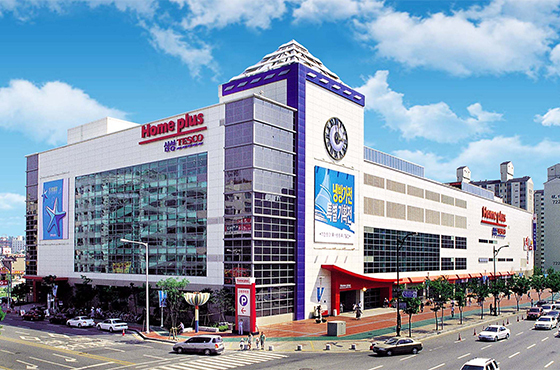 Korean hypermarket chain Homeplus Co. said Thursday it shelved its plan to list its real estate investment trust as institutional demand for what would have been the country’s biggest REIT public offering fell short of expectations despite all the hype. Homeplus had expected to set up a REIT firm that would acquire 51 of its stores, with plans to debut it on the main Kospi on Mar. 29. It set a price band of between 4,530 won ($4) and 5,000 won and was seeking to raise 1.5 trillion won to 1.7 trillion won from the public offering. But demand from overseas institutional investors turned out to be weaker than expected, according to sources. Analysts said the IPO may have lost its appeal due to the obscure structuring of REITs and the subdued market environment at home and abroad. But Homeplus may take another shot at it depending on future market conditions, according to insiders. It remains to be seen whether the latest move would dampen the packed IPO pipeline in Seoul. Some of the blockbuster IPOs planned for this year include Hyundai Oilbank Co., E-Land Retail Co. and Kyobo Life Insurance Co.